If you want a luxurious car, there is a lot to choose from, but if you need an icon, Look No Further. The reveal was done in a very elegant atmosphere with the Rolls Royce logo decked out in stars all the way from the floor to the ceiling of the hall, surrounded by the most expensive jewelry money can buy. All to make a very good impression of what was to be revealed. The words we heard a lot that day was "unique, special and defining". these words simply explain what Rolls Royce did - they took the SUV business to a whole new level. Some were overheard trying to compare it to the Bentley Bentayga, but let me stop you right there! There is literally no car in the market that comes close to the CULLINAN, its namesake is the largest gem-quality rough diamond ever found, so how can you top that? The details on the Cullinan are every where. 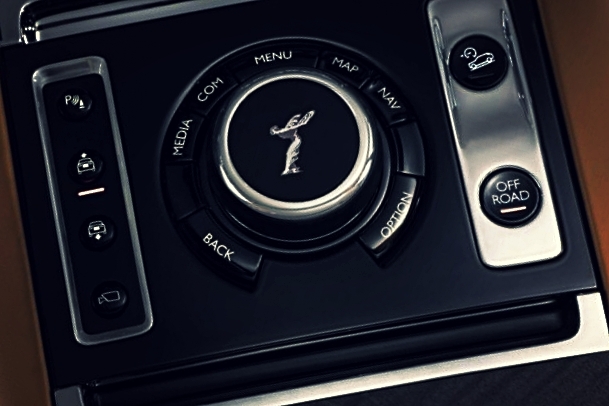 From the logos that are not overly used, yet placed in perfect placed all around to the "The spirit of ecstasy" that is neatly engraved in to some parts of the interior. There is no Rolls Royce without the famous hidden door umbrella and the "coach doors", that welcomes you to a very grand and luxurious interior. What an amazing interior! A spectacle in itself. The Cullinan is powered by a 6.75-liter V12 engine, that produces 571 hp on an all wheel drive system. We also heard that the car comes with four-wheel steering to make it as maneuverable as possible and an air suspension to give the best and smoothest ride quality. This is a car that can adapt to any terrain you to steer it into. It will ease through it perfectly, and will do so in complete luxury. We don't know how to stop talking about the Cullinan, but to experience what we did, please vist the Al-Fardan Rolls Royce show room at the Pearl and check it out; may be even book your own special Cullinan.